Hey Fangirls, today we’re going to get a little serious, and delve into my past a bit. I know I’ve mentioned some of this in passing before, but for a significant amount of my life, I lived with an alcoholic. My father, for almost the entire time I’ve known him, has struggled with addiction. He has a severely addictive personality, which is something he (regrettably) passed on to me. When I was a child, my dad was a severe alcoholic. I remember Saturdays were almost always “quiet days.” They were days when he was plopped firmly in front of the television after waking up incredibly late, and I wasn’t supposed to ask him for things on those days, because he had a headache. They were quiet days because he was hung over. As I grew older, and my parents fought more, I started realizing things about my dad weren’t so nice. He wasn’t kind to my mother, and verbally abused her in front of me. I think their relationship is a big part of the reason my mother doesn’t always see how worthwhile she is. Though my time with my father has been difficult and made it so I am stressed by the idea of being near him, it taught me a lot. If it weren’t for quiet days, I may not have found such a love for books and fantasy. 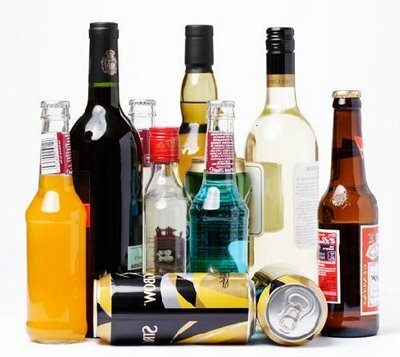 If I hadn’t seen the affects of alcohol on my family, I would possibly have been even more careless as a teenager, and a young adult, and have drank and possibly really hurt myself. Because I witnessed what it’s like to not know limits, I think I am better able to gauge how much I can drink. Of course I go overboard now and then, but it’s very rare that I get drunk. I know that I like getting buzzed, and that I like being social, but I don’t need alcohol to feel good with friends. My father and I don’t get along, but I hope that I can extend a hand to any of you fangirls out there who are suffering from alcoholism, or a family member is. If you ever need someone to talk to, please remember that I am here. My father had a serious problem with alcohol when I was younger. He never admitted to being ‘alcoholic’ and even to this day dislikes the term. He clearly knew he had a problem as he stopped drinking alcohol several years ago and hasn’t touched a drop since. Still, the way he abused alcohol had a profound effect on his health and his relationship with both my mother and I. Much like you, I have a very addictive personality but am weary of alcohol, tending to drink but not to excess. I suppose I have my Dad to thank for that! Last month Dad had a stroke – his sixth – likely due in part to his alcohol consumption in years gone by. He is stable, but very weak – a shadow of the tough, angry “man’s man” he once was. It’s quite sad but in a way the experience has brought our tiny family closer together than it ever has been before.